The entrance to The Earle. The other evening, I walked down the dark stairwell into The Earle Restaurant, off Main on Washington, in Ann Arbor. At the end of the stairs, there’s a door. I open. To my right is laughter, Happy Hour in full swing in the bar where mussels are practically free. To my left, a tinkle of ivory on the baby grand, Cole Porter on the Steinway, providing a tranquil oasis to savor conversation, fine wine and classically prepared cuisine. Where to turn? Either way, I was sliding back in time. I’d met a friend, Tania Evans, another long-term Earle patron, and we opted for dinner. We sat in a booth overlooking the slender tables at this landmark restaurant and shared a roasted garlic appetizer plate. After I was into my second glass of Montepulciano, I swear those walls whispered, “She’s back”. 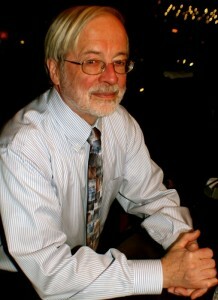 Dennis Webster, the owner of The Earle since its inception. The owner since inception, Dennis Webster, tells me that the main dining area of The Earle is in the lower level of the old Germania Hotel built in 1885, and is now listed on the National Historic Register. The elegant stone walls are the original foundation of the building. According to the UM alumni site, The University of Michigan was founded in 1817, but it took another 50-plus years before the institution began accepting women. I’ll bet conversation within those walls were a bit more titillating after women were admitted. They certainly had much to discuss observing the decades my girlfriends and I tipped glasses in this subterranean mecca. After I graduated from Michigan in the late seventies, the walls watched me eyeing the stranger at the end of our table of friends. That man, a friend of a friend, would become my husband. 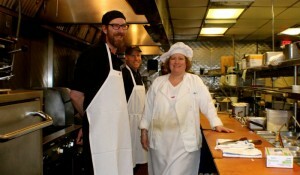 Chef Shelley Caughey Adams, one of the magicians behind the magic. In the eighties, the same walls watched as I delivered fresh pasta to The Earle kitchen. The Earle was the first wholesale account I’d landed after opening my shop, The Back Alley Gourmet. 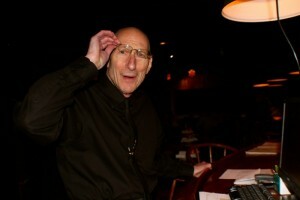 Steve Golderg,long-time sommelier at The Earle. About eight years ago, in fact, the walls watched me hide behind Steve Goldberg, the sommelier–– a skinny guy with a big heart––who let me peek around him to check out a blind date. Should I stay? Should I run? I wonder what the walls thought of my silliness. Soon my flirty eyes followed this man, my blind date, and I made up my mind. That man, Richard, became my second husband. Tania Evans, enjoying one of the 10,000 wines that The Earle has in storage. Tonight, my friend Tania and I, Sommelier Steve, (once an Earle bouncer back in the 70’s), and Dennis talk about Ann Arbor’s newest and oldest restaurants, and our memories of old downtown. Tania orders the lamb and I choose the salmon (headline picture and recipe for the sauce, below). I loved the piquant butter sauce ladled above the fish and I begged Chef Shelley, head chef at The Earle, the recipe. And the wine, oh the wine! The wine cellar was built during the restaurant’s remodeling in 1998, and is temperature controlled in order to facilitate long term storage of red wines. (Currently there are around 10,000 wines in storage.) Each year the Wine Spectator magazine reviews wine lists from around the world. 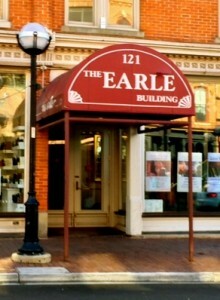 The Earle has received their second highest award (Best of Award of Excellence) for over 20 years running. I’ve yet to dine at a local restaurant that serves such an integrity of fine wines with generous pours by the glass. Tania and I talk about old friends and their businesses, talk about Tania’s equine appraisal business, Riverbend Equine Services, and I remind her to check out my daughter-in-law’s diner on Jefferson in Detroit, Rose’s Fine Foods. 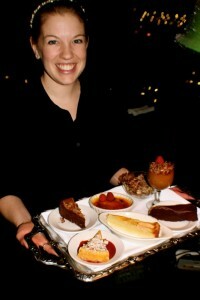 Jolene Green presents us the choice of desserts, the Creme Bruleé always my favorite. We chuckle about Tania’s old horse named Greta and my young daughter, also named Greta, and her Chicago design studio. We talk about our horse riding days along the Huron River on Tania’s horses, our hikes in the deep woods around Ann Arbor, many of these forests now in preserves and easements that Tania knows as a Stewardship Committee Member of our Legacy Land Conservancy. It’s easy to slide into old memories, rekindling old friendships. The Earle, too, is a dear old friend, whispering a memory, sharing a toast. For us Earle devotees, The Earle is a recurring love-affair. Recipe Notes: This recipe was graciously shared by Chef Shelley. She notes that it is important not to overheat the sauce after butter is added or sauce will break. 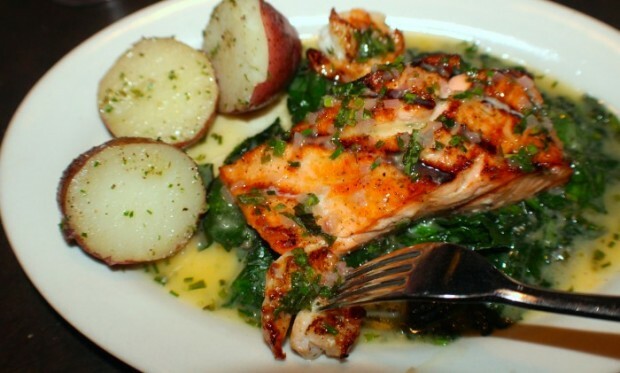 The salmon at The Earle is served with grilled shrimp on a bed of sautéed spinach. Feel free to adjust the amount of lemon juice, herbs and salt to suit your palate. In shallow saucepan, bring white wine and shallots to a boil. Reduce by half. Add butter gradually while simmering. Continue to add butter in three parts, swirling between additions. When all butter is incorporated, add lemon juice. Season with salt, add herbs and pour over fish. Serve immediately. I have many great memories, both in the past and more recently of the Earle. By far my favorite place is the wine bar. Its great for anything from a first date to a get-together with great friends! Since early 1980s I have special memories of meeting many friends over and over again at The Earle. Happy Hour is the best. Enjoy the music as well. And the food is always consistently good. A townie institution and always look forward to going there. 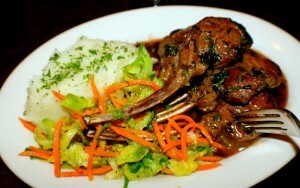 An Ann Arbor classic–warm atmosphere, good acoustics and great food, wine & service–We love it for happy hour! Happy Hour is the best hour in my vocabulary, Debbie! The Earle has always held a special place in my heart (and belly) – it’s nice to hear how it’s been a staple of so many others’ lives as well! The Earle has long been a favorite gathering place. Love the stonework in the bar area. 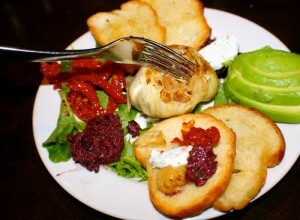 My favorites are the mussels, roasted garlic with sun dried tomatoes, and the gorgonzola salad. What, Alesia, would the stones have to say about you? So, I’ve spent most of my adult life frequenting the Earl. Everything from having birthdays anniversaries meeting blind dates and wishing I was blind afterwords! And always running into everyone you know.but of course the food was and is always great and served by people you get to know.the Earl rocks and is the quintessential Ann Arbor meeting place. Ahhhhhh The Earle! Calling me back time and time again. The quintessential Ann Arbor gathering place. LOVE the bar vibe and Happy Hour. I’ve also always loved the soft low lighting…so forgiving! Many, many memories have been created here. It has always felt like coming home, warm and inviting on cold winter nights. 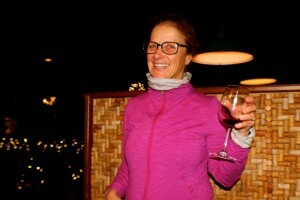 Thanks for the blog and the memories Peggy! It was a pleasure sharing them, Marty! Thanks for the comment.